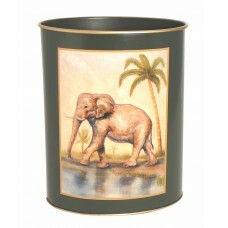 Waste Paper Bin African Animals on a Bottle Green background with hand gilded rims. Image by Alexandra Churchill. 280 mm high. Illustration may vary from that shown.